We are so close to the opening day for the Fort Lauderdale Strikers, so to continue the buildup we here at Striker Likers have decided to unleash the Dream Team. If we could sign whoever we want from the current slate of soccer stars, this is what we'd come up with. It's a fantasy, so don't hate. 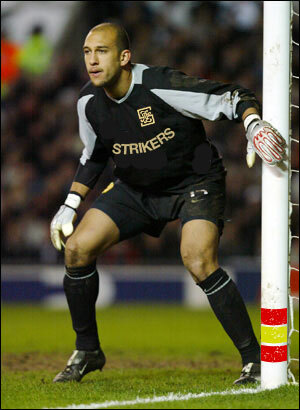 Goalkeeper - Tim Howard. This selection needs to no real reasoning. Timmy is a beast and the world knows it. He's got the passion, he's got the talent and he's got the experience. He'd also make the Strikers tradition of great goalkeeping proud. Although Striker lore denotes great goalies such as Gordon Banks and Jan van Beveren, Tim Howard wouldn't be the first American to play between the Striker pipes. He'd join fellow statesiders Arnie Mausser and Tony Meola. Goalkeeping is a tradition here in Fort Lauderdale. Who would you choose as your dream shotblocker? I, for one, would choose to build for the long term. I'd pick up a Bill Hamid or a Zac MacMath and have stability in the nets for at least a decade.